I am going to do something different. I am going to tell you a story, in three parts. It was after discovering Chatwin that Anne decided on Chile. That landscape is littered with young people accordingly influenced, the naïve and the idealistic. It goes like this: They read In Patagonia, fancy themselves full-throated adventurers, ready a rucksack–as Chatwin called it–and head south. 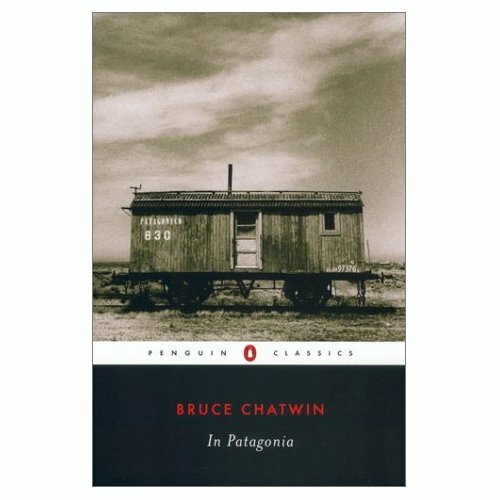 “Gone to Patagonia,” Chatwin wrote his boss. Anne was in New York, studying the culinary arts. She loved the city honestly for all the right reasons. Yet, her studies complete, she set out, full of cloudless spirit. That she met Franz, a fishing guide, and married and came to live in Patagonia is worth mentioning. Of greater interest, though, is how she unraveled on the isolated island they called home. “We have a problem,” Anne said. Franz looked up from the boat. He was burdened with gear. His client, Gino, stepped to the dock. “Boungiorno, Anne,” said Gino. “Buono. Extraordinary.” Gino smiled broadly. He had had a good day on the Rio Plano. He caught many fish, including a brown trout that was possibly the largest trout he had ever caught, including his record fish in New Zealand. Anne said she was delighted for him. She patted his shoulder as he walked past, his waders chaffing. He waved to Giovanni who, having returned earlier, sat in front of the lodge smoking a black cigarette. Franz looked at Anne. Franz handed her the fly rods and stepped onto the dock. It was an hour before sunset. The mountains were in shadow and the lake was calm, the sky a royal purple. The last boat was heading across the water to the lodge. The engine whined. The other boats were in. Anne and Franz had only a satellite phone with which to connect with the world beyond the mountains, to family, to the travel company that booked the fishing clients and arranged their arrival and departure, to the store in Porto Monte that filled their monthly orders for food and supplies. It was a link upon which Anne grew increasingly dependent as the weeks and months of fishing season stretched out. One night Anne grew troubled in her sleep and fell from the bed, hitting her head on the table. Franz slept soundly through the incident, worn out from his struggles against the wild currents and eddies of his guided rivers. She told him she had rolled over in her sleep and fallen off the bed. But in truth she had had a bad dream in which a train came at her out of a night horizon, quiet until upon her, then rushing at her like a hungry thing alive, loud and earth-heavy. She threw herself to the side, out of its path. She did so just in time, the hot engine lurching past. But she fell from the bed and hit her head. She was embarrassed by the dream and did not tell Franz. Her bruise was noticeable in the morning, and she remained in the kitchen while Marie waited on the clients.